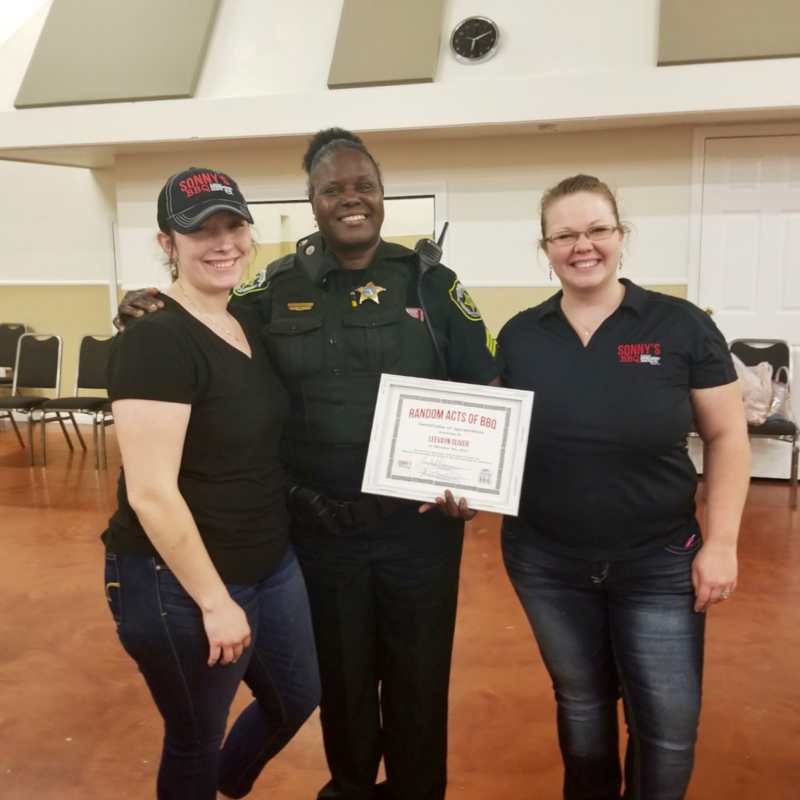 The Sonny’s BBQ of Apopka, FL hosted a Random Acts of BBQ for Sergeant Oliver, who was recognized for makin’ a difference in her community. Sergeant Oliver mentors at-risk youth and helps them along the college application process. She volunteers her time to taking high school students on college visits, assists with their transportation needs, testing fees, and food. Additionally, she is passionate about fundraising for the ILA College Bound Success Program.